Example lease based on VIN# SJKCH5CR7JA059536 (New 2018 INFINITI QX30 PREMIUM AWD with an MSRP of $41,655 and a selling price of $32,255). $387 per month for 39 months with 32,500 total miles and $2,000 total due at signing (Includes $946 down payment, $500 SC Infrastructure Maintenance Fee (exempts purchase from sales tax), $55 SC Registration Fee and $599 Closing Fee). No Security Deposit required. Available to qualified customers through INFINITI Financial Services through February 28, 2019. Contact Baker INFINITI Charleston for complete details. Seasons change. So do weather and road conditions. Make a difference in your drive with new tires designed to enhance your INFINITI's performance and safety. 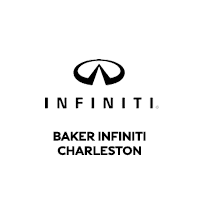 If you’re in the market for the INFINITI QX60, the INFINITI QX80, or the INFINITI QX50, you need to stop by Baker INFINITI of Charleston in Charleston, South Carolina. We have an incredible selection of new cars for sale, and our friendly and knowledgeable team is here to help you every step of the way. We pride ourselves on offering our customers what we call a “TOE”: Total Owner Experience. We have a huge selection of the newest models that feature the latest INFINITI innovations and advancements. Our used car dealership also offers plenty of competitively priced, exciting vehicles, including certified used cars that are sure to pique your interest. Use our online finance tools to get pre-approved or calculate payments, or contact our finance center to let us work on a payment plan for you. Our service center performs basic maintenance, cosmetic repairs, and collision repairs. We also provide service coupons to help you save. Visit Baker INFINITI of Charleston if you’re ready to get in one of these enticing luxury vehicles. Contact us today.